Unless you’ve cracked open an old-school thermostat, you might not realize how primitive these devices really are. Until just a few years ago, thermostats contained a tube of mercury and worked much as a thermometer does: If conditions became hot enough for the mercury to rise up the tube, it would physically activate a switch and start the air conditioner blowing. Programmable, digital thermostats not only got rid of the hazardous materials but also let you set hourly heating and cooling schedules. 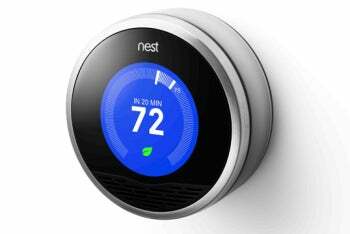 The next generation, arriving now, is even smarter--the Nest Learning Thermostat adapts future temperature changes based on your tweaks, and you can access it online or via smartphone whether you’re in the house or on the road. When’s the last time someone pulled out a photo book or cell phone, and said that they just want to show you one picture? Old-school picture frames look fine at grandma's house, but the digital revolution has hit this mantelpiece standby hard. The big idea, of course, is that the frames automatically cycle through dozens or hundreds of digital shots, eliminating the need to print photos and deal with those painful metal tabs that hold the back of the frame together. But today’s frames can do even more. 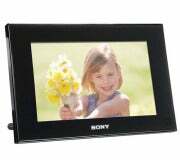 For example, the Sony DPF-D70 can tell whether it’s oriented in portrait or landscape position, and it has a clock and calendar built in. Models from CEIVA even accept remote updates, so you can send fresh pictures to the frame from anywhere over the Web. We’ve come a long way from beating our clothes against rocks in the river, but early washing machines weren’t much better, giving users a couple of knobs for water temperature control and a timer for indicating how long the thing should agitate. Washing machines now commonly come with dozens of presets for all manner of fabrics, and can even communicate electronically with the dryer so you don’t have to input the information twice. Better yet, the next generation of washers will figure out what’s being washed automatically: RFID tags embedded in shirt buttons will alert the washer to the color and delicacy of your garments. The home robot has finally found its footing in the arena of vacuum cleaning, a noisy chore that no one seems to enjoy very much. 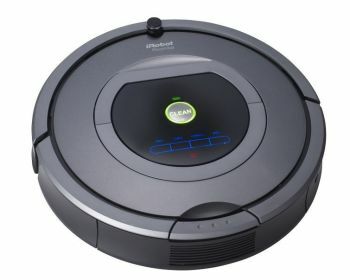 The iRobot Roomba is common enough that “roomba” is on its way to becoming a verb à la “google,” as this pint-sized, pizza-shaped robot seems to be constantly cleaning the floor just about everywhere you go. Recent models even know when they’re running out of juice, and can find their way back to base when it’s time to recharge. All you have to do is empty the detritus it picks up once in a while. 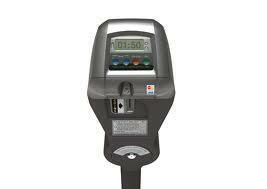 The traditional parking meter embodies the worst of all worlds. No one carries much in the way of cash anymore, and we’re expected to pony up coins at the time when we’re least likely to have them? This arrangement may be great for cash-strapped municipalities that rely on parking tickets over meter money, but it’s terrible for us drivers. Fortunately, the parking meter is rushing into the '10s with a bevy of smart technologies that let you pay by prepaid card, credit card, or cell phone. And apps coming on the market can keep tabs on open spaces to help you locate available parking spots. Don’t get me wrong--cable television is one of the greatest inventions of the 20th century, and it has only gotten better since the early days. But having access to dozens, then hundreds, of channels created a rare first-world problem: How can you find something to watch amidst all those choices? TiVo (and its competitor at the time, ReplayTV) had the solution: Plug a hard drive in between your cable box and your television set, and tell it what your favorite shows are. The DVR takes care of the hard work of changing channels and hitting Record, so even if MacGyver comes on at 3 a.m., you always have an episode waiting for you the following morning. It didn’t take a genius to integrate these two boxes together, and anyone with a serious home theater setup has gigabytes' worth of stuff on tap, just waiting to be watched (another first-world problem, there). Along with crying babies and fingernails on chalkboards, the sound of the old-school alarm clock ringing must rank as one of the most annoying noises you’ll ever encounter. Sure, the advent of the clock radio meant that you could wake up to the sultry sounds of your local smooth-jazz station, but this remains a fairly brutish way to wake up in the modern era. Today you’ll find an endless variety of ways to improve your reentry into the conscious world. The Philips HF3470, for instance, wakes you not with a blaring klaxon but with light that slowly brightens, mimicking the natural rise of the sun (only not so early). 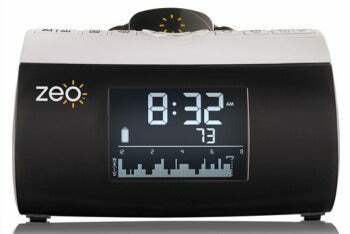 Numerous other alarms also slowly raise the volume of whatever music you’d like--MP3 tunes, or even Internet radio--to more gently rouse you from sleep, and bedside devices like the Chumby (sadly en route to going out of business) can offer up the news, weather, and Facebook updates as soon as you open your eyes. The most recent upgrade to the waking experience comes in the form of sleep-tracking systems like the Zeo, which monitor your REM cycles and wake you up when you’re out of deep sleep. Pity the American, faced with cold, silent plastic every morning upon entering the bathroom--a brutal way to begin the day, no matter how pleasant the alarm clock (see above) might be. In Japan, however, technologists have been hard at work in every room of the home, including the bathroom, where smart toilets are now in use in a full 70 percent of households. What’s a smart toilet? Think of a high-tech commode featuring a lid that opens automatically when you approach it, as well as a heated seat, a music player, automatic flushing capability, and bidet features that give your undercarriage a gentle (and warm) spray-down when you’re done. Smart toilets even have a green angle: They can cut toilet paper use by up to 90 percent, according to manufacturer Toto.